Everything at Fast-Trac Designs is completely customized to fit you, your business, your event, etc. We have our talented graphic artists design your wraps, t-shirts, business cards and everything in between. Currently we are creating custom camouflage trailer wraps for a customer and they are 100% unique designs. 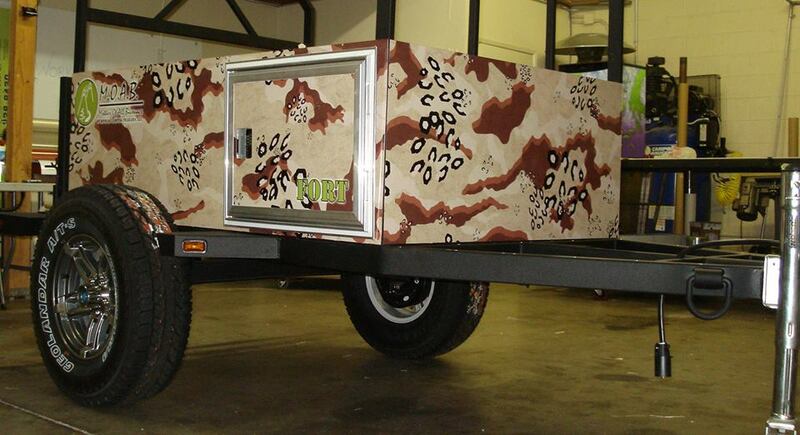 We have designed, printed and installed one trailer so far and the outcome was incredible leaving our client highly satisfied and we are all looking forward to the rest of the camo trailer wraps to come, We'll keep you updated! Here at Fast-Trac Designs we have had a unique project that we would like to share. 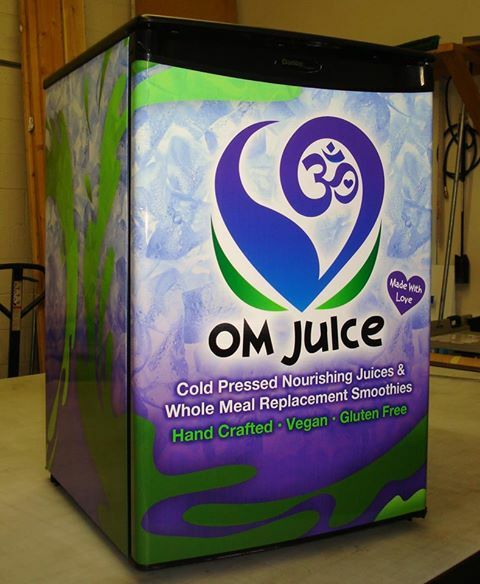 We had the opportunity to wrap a mini fridge and it turned out to be one of our favorite wraps. The application was smooth, flawless and an over all enjoyable installation process. Our customer that owns the mini fridge was highly satisfied and is bringing us more mini refrigerators to wrap. You may be wondering, why would someone want to wrap a mini fridge? The main purpose was to bring attention to his nutritional drink, and we are sure it will work! We can wrap more than just vehicles here at Fast-Trac Designs making us the exclusive place for one of a kind wraps.